Lately I’ve been going to Metrotown Centre to wait for Boyfriend to get off work. As he gets off half an hour after me, we have been carpooling and it’s been great. What else is great is that most of those days I’ve been having Bubble Tea. Oh, wait…did I say that’s a good thing?? 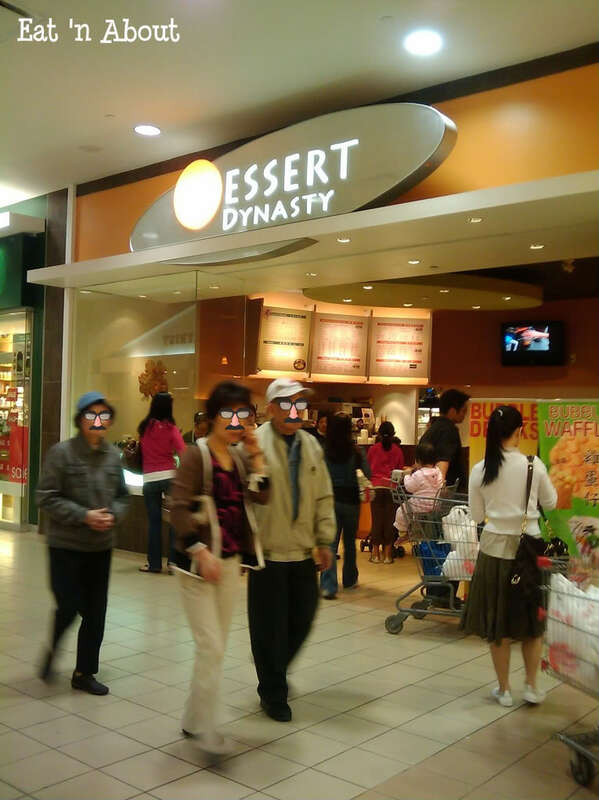 A good place I like to go to is Dessert Dynasty which is located just next to T&T Supermarket. What I like about them is that they accept credit cards and there’s no minimum charge!!! Their drinks taste great too. The pearls are sweetened! 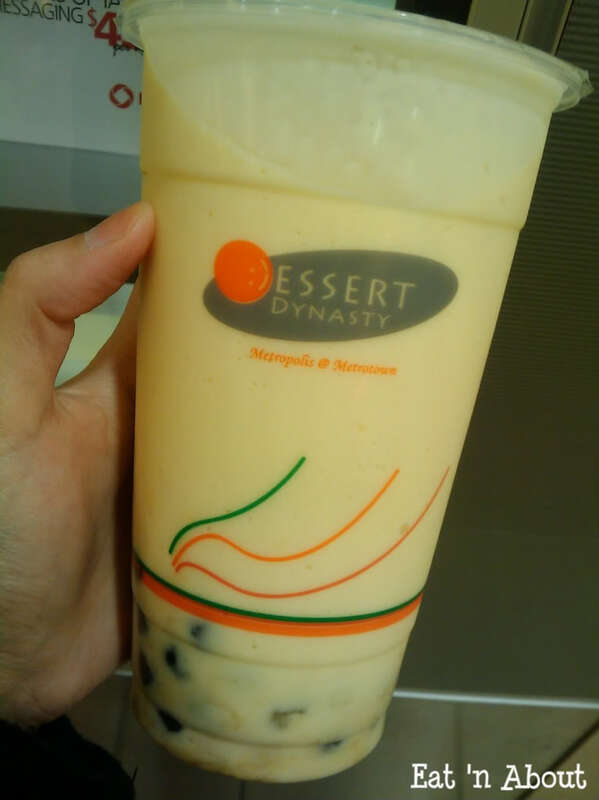 One drink I like to order from them is Pudding Milk Tea. But they’re not consistent in the way they make it though. In the beginning when I ordered it, they don’t just flavor it with pudding powder. They flavor it with pudding itself. You can see bits of it at the bottom. It was real good. But lately when I ordered that they only use the powder. I wonder what changed. 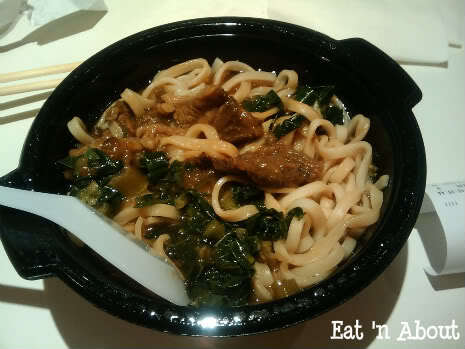 Another item on their menu that I sometimes has is their version of Taiwanese Beef Noodles. This isn’t really like the type I’m used to. The beef pieces are like Cantonese style beef slices, and there’s okra and some leafy greens in it. The soup tastes different too. It’s not bad for $4.50. It’s not a big bowl but it’s not bad.